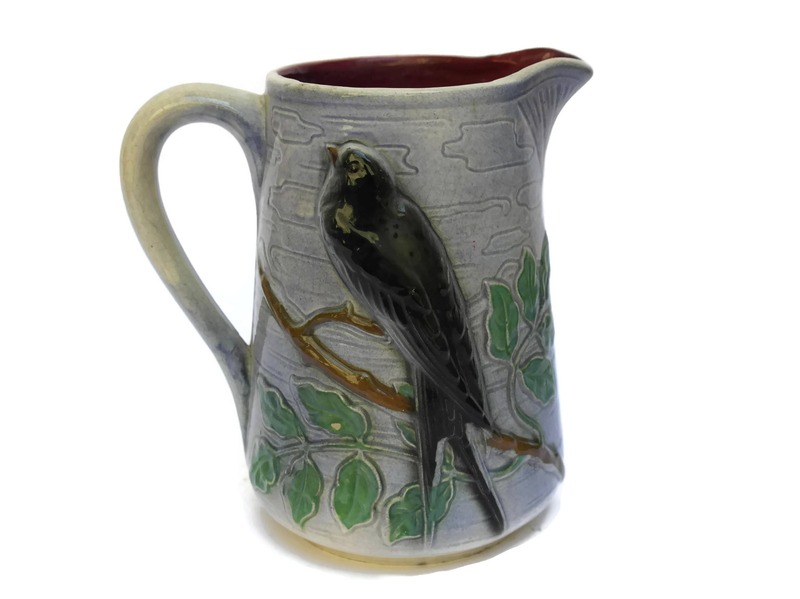 French Faience St Clement Majolica Bird Pitcher with Swallow on Branch. 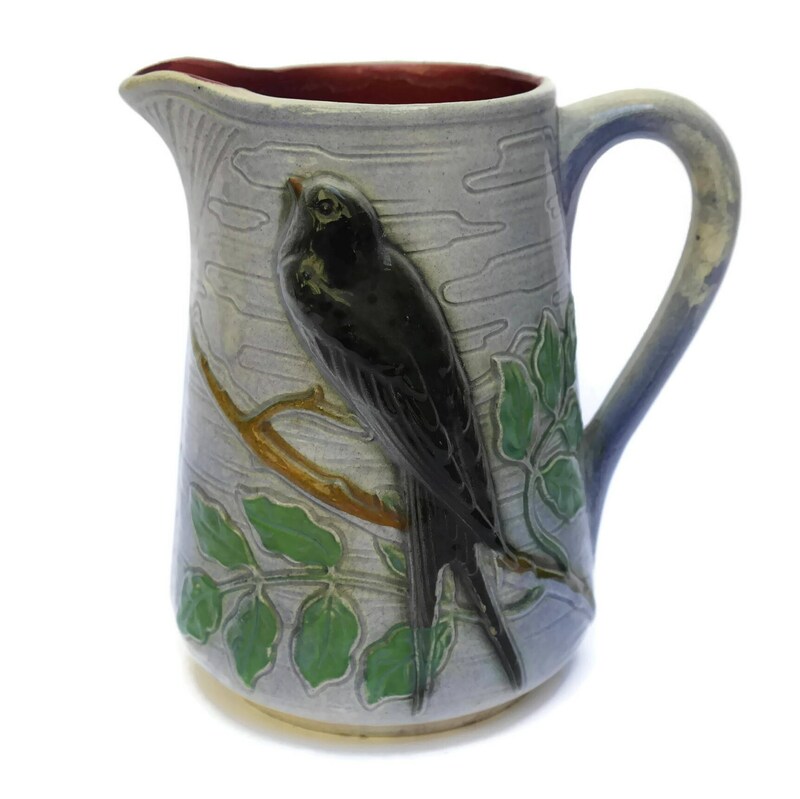 A beautiful vintage majolica pitcher manufactured by the famous French faience company, St Clement. 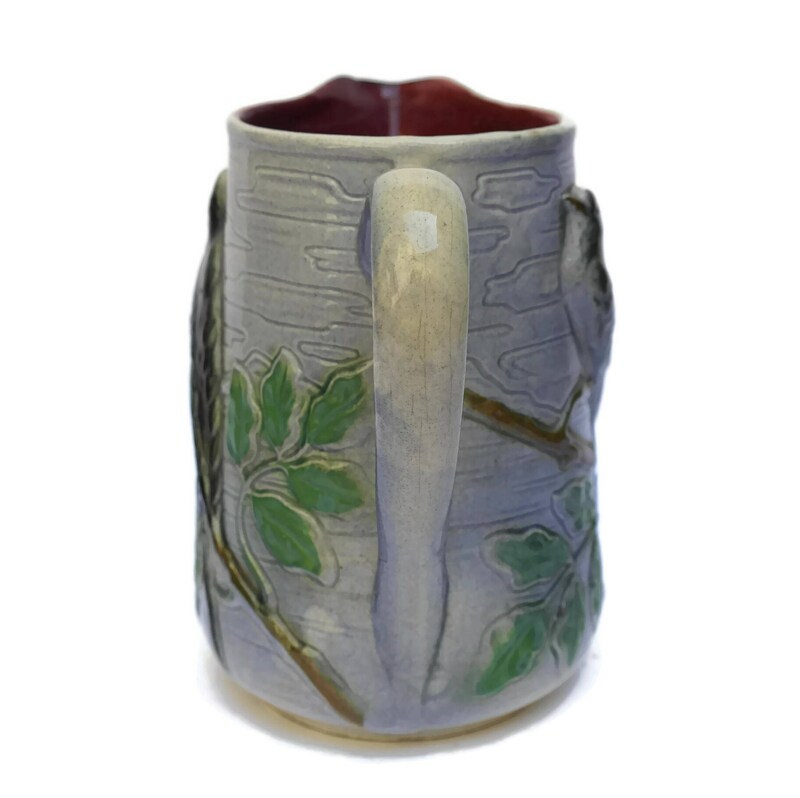 It has been decorated on two sides with a charming image of a swallow perched on a leafy branch. The surface has been glazed in a pale shade of blue with a background pattern of clouds. The interior is glazed in deep red. 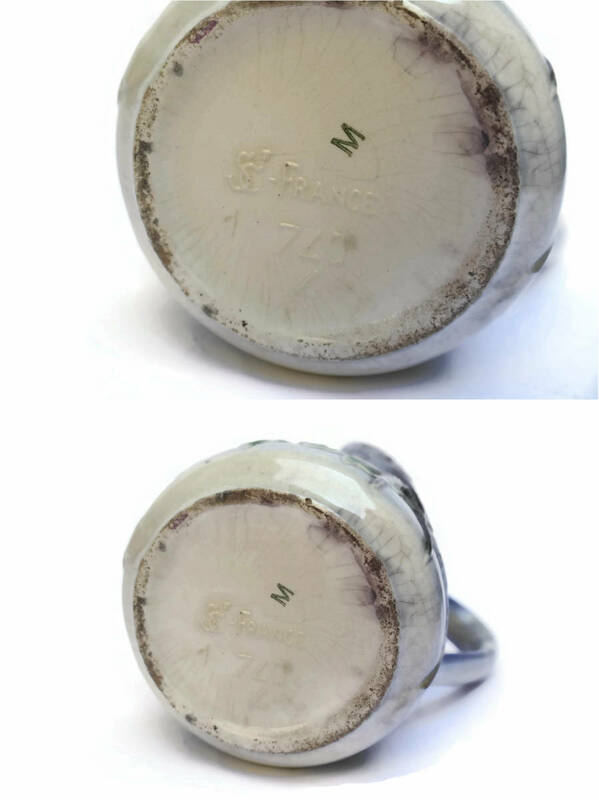 The underside of the majolica pitcher has been stamped with the St Clement manufacturer's mark and pattern number 740 4. 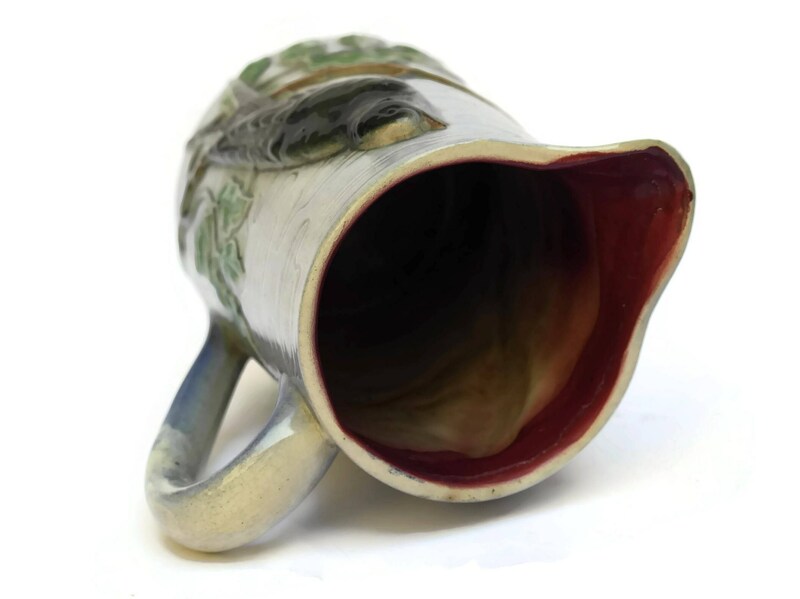 The antique majolica bird pitcher is in good condition with signs of age including crazing to the glaze in places and light surface marks. There are two small spots bare of glaze.